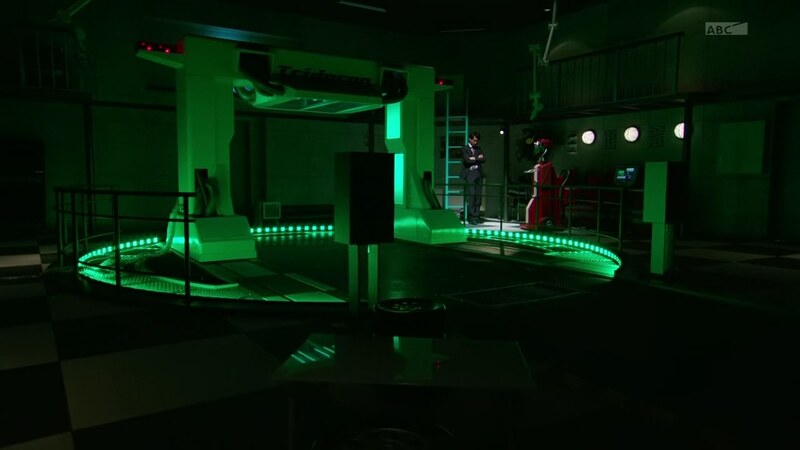 Recap: Kamen Rider Drive, Episode 28 – Why Were the Families Targeted? 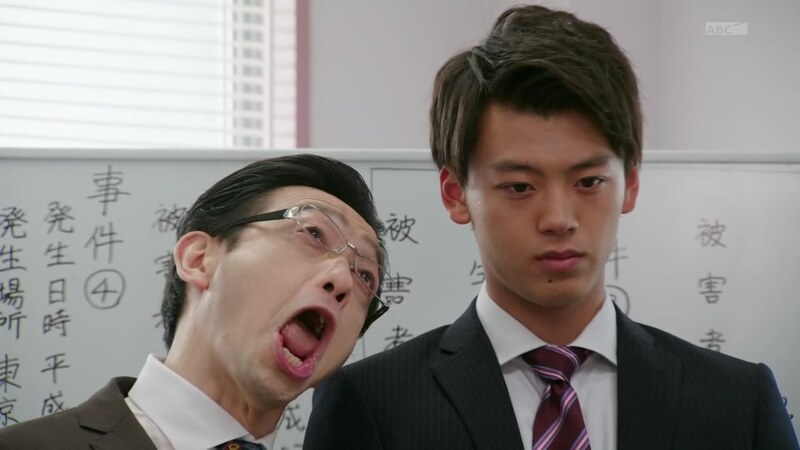 Shinnosuke tries to wrap his head around Gou’s bombshell. Yes, Gou says, the son of the man who created the Roidmude has become a Kamen Rider. Funny, right? Shinnosuke says if Professor Banno worked with Belt-san on the project, that means he originally created the Roidmude with good intentions. Even so, Gou replies. His father has robbed happiness from a lot of people and because of that, he won’t let a single Roidmude live. Kiriko… Gou warns Shinnosuke not to tell Neechan anything about this, or else. Back at the Pit, Shinnosuke and Belt-san are talking about Gou. Shinnosuke says he understands now that Gou is trying to protect Kiriko from the truth of their father’s sin. And that includes Chase. Kiriko arrives in the Pit, drawn in by the sound of that beautiful name. Actually, she’s just here to tell them the daily briefing’s about to start. Belt-san says he’ll stay here to oversee repairs of the ProtoDrive Shift Car Chase asked them to extract the memory from. The SID is going over the info they have so far when Nira pops in. Nira laughs in Shinnosuke’s face before dancing back out. Shinnosuke has a plan to get Nira to lift the suspension. Gou does not answer his Neechan’s call. He tells Yoriko that finding her brother is most important. He gets on his bike, but Yoriko drops her bag and runs over to give him a backhug. She thanks him for all he’s doing. 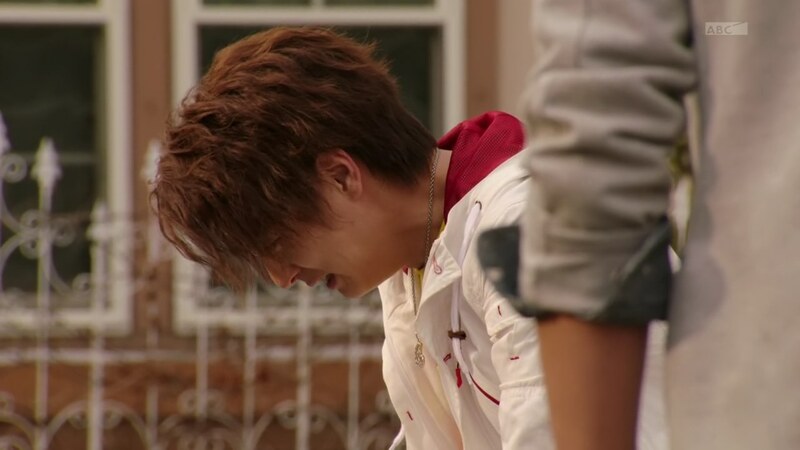 The hug reminds Gou about Kiriko comforting him as a child. “We are similar,” Gou says. Suddenly, Yoriko gets a call. From her brother! They know where he is. Shinnosuke and Kiriko hurry back to Chief Jun to tell them Gou is in danger. They think Brain is behind this, but Chief Jun says it might be someone bigger. 001 perhaps? 001 tells Brain it’s okay to be honest. In fact, what Brain is feeling right now is a human emotion that he has learned called jealousy. 001 says a negative heart has tremendous power. If last time the SID revealed the Kamen Riders to the world as a first strike, it is time for 001 to strike using the most effective and cruel method. 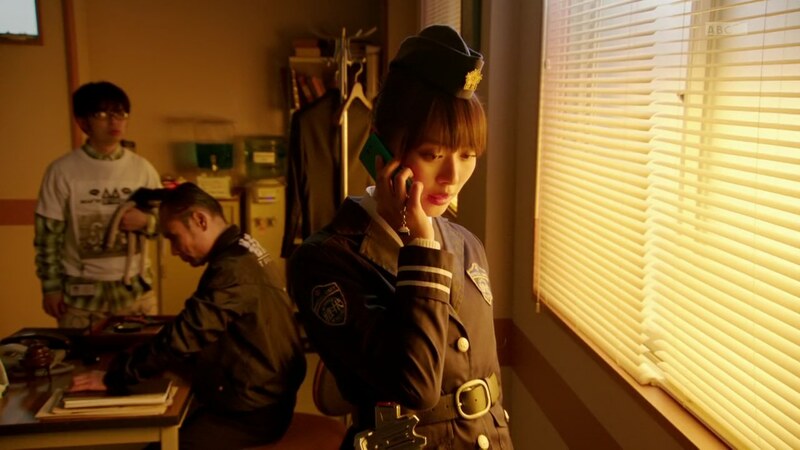 Kiriko still has no luck contacting Gou. Kyu says none of the victims have relatives by the name of Souma Yoriko. They search the real estate company and find a Souma Ryou. Kiriko is upset that her not listening to Gou has put him in trouble. Rinna hurries into the SID to tell them the upgraded Particle Detector is ready and can detect even the slightest amount from the sky. That means they can use it with the Ride Booster. Now all they need is for the suspension to be lifted. 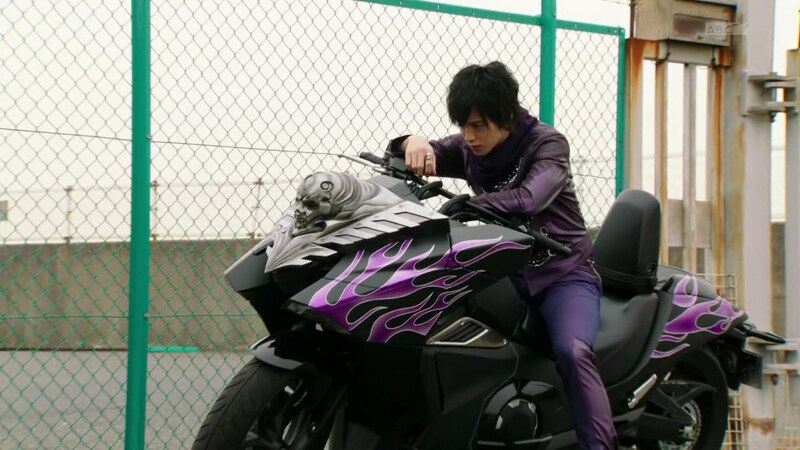 They enact their plan that involves Chase posing as a Roidmude attacking the SID, specifically an invited Nira who has no choice but to allow Shinnosuke to henshin once again. Brain watches Shinnosuke and Chase fly off together and tosses some Viral Cores into a few Roidmudes to turn them into evolved flying things. Yoriko tosses her hair and lets out an evil laugh. She laughs at Gou and says she’s been waiting to see his defeated and dumb face when he found out she’s been playing him. 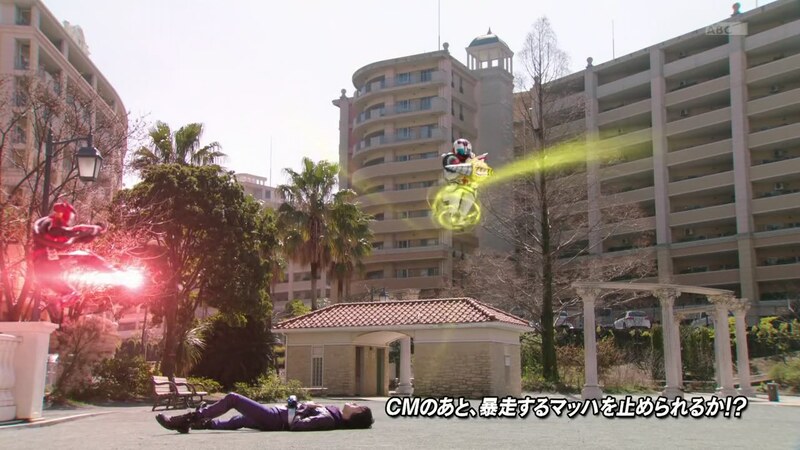 Up in the air, Shinnosuke detects the Gravity Shift, but they are suddenly attacked by the flying Roidmudes. 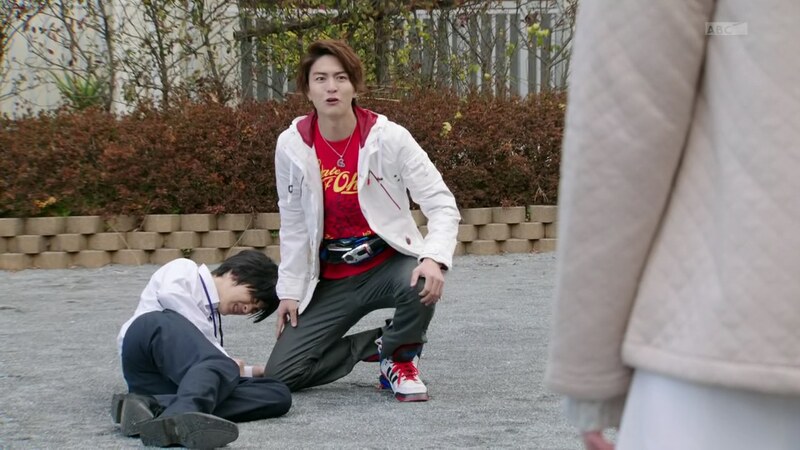 Chase detaches himself from Tridoron to take care of all three Roidmudes. He then hurries back to reattach his Ride Booster before Tridoron crashes into the ground. Yoriko fuses with Roidmude 050. Gou can’t believe they used memories of his family to manipulate him. notYoriko says all families show their true, ugly nature when pushed. 050’s power is to amplify negative feelings through touch. That’s how notYoriko spread the virus. Including to Gou. Angry, Gou henshins and battles a giddy 050. Gou goes Dead Heat, much to 050’s amusement. 050 tells Gou to kill him/her. Before he can, Chase arrives to stop him. Is Gou going to kill the fused human too? Yes, Gou says. But he’ll kill Chase first if he gets in the way. Chase says he doesn’t understand what family is and asks if it is really that important. Gou continues his attacks, forcing Chase to dehenshin. 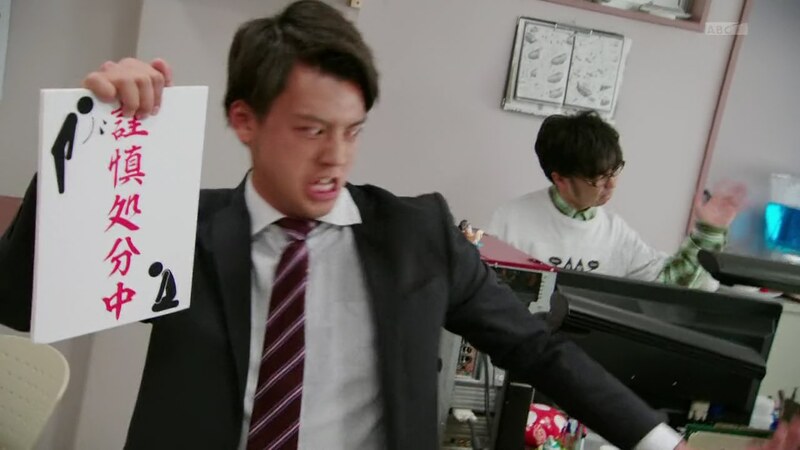 Before Gou can deliver a final blow, Shinnosuke arrives and kicks him out of his henshin. 050 laments at Shinnosuke ruining everything. 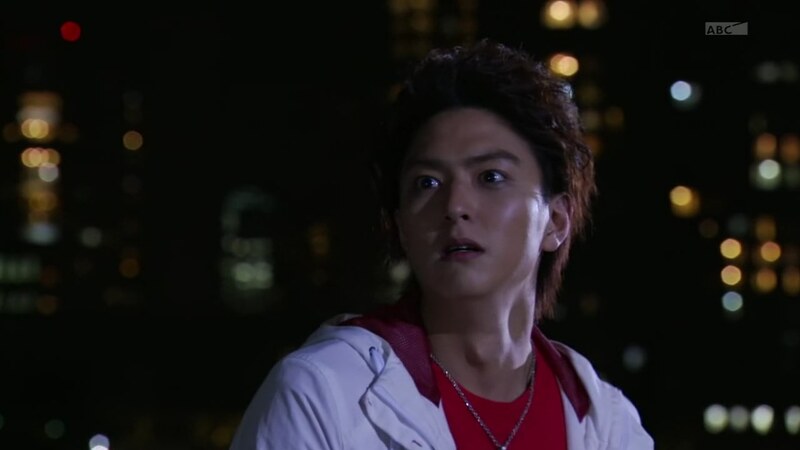 He goes Type Formula and says he will protect Gou. 050 screeches and tries fighting Shinnosuke. But he uses Formula 1 to unfuse the human before proceeding to finish off 050 with a Full Throttle Formula Cannon Finisher. notYoriko crawls on the ground. Gou demands to know who she is. She says she is the child of a monster who was defeated by the Kamen Riders. 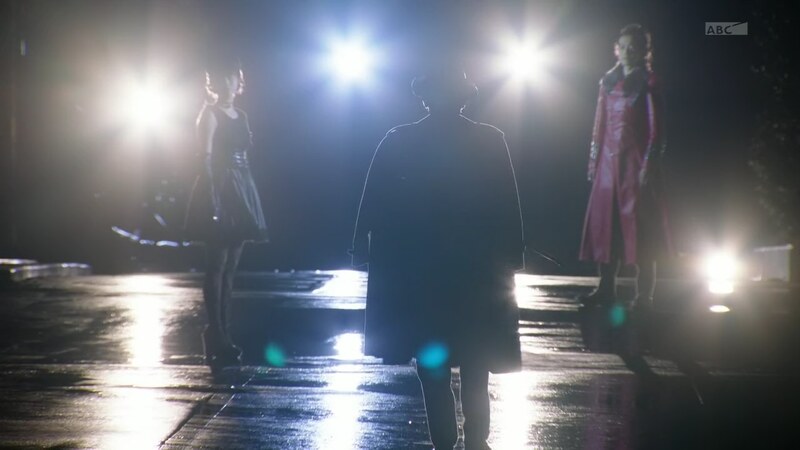 Shinnosuke says she is Nishinori Reiko, her father was Nishinori Kouya who was used by 005 as a model, but was defeated by Proto-Drive and was also arrested by Shinnosuke. Shinnosuke arrests Reiko and asks if she was seeking revenge. She says she wanted to surpass her father. If Gou had killed her, then it would’ve been the perfect crime. She laughs hysterically then cries. 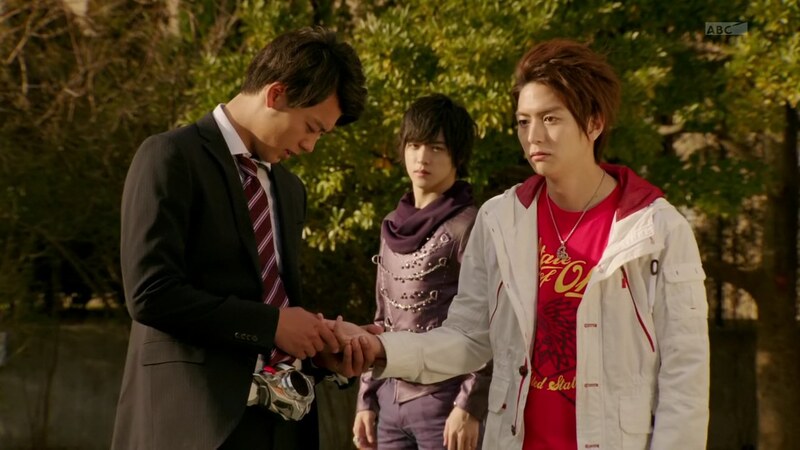 Shinnosuke checks Gou’s hand. 050’s mark is gone. Shinnosuke says it’s okay now, but Gou pulls his hand away and stumbles off. Chase continues pondering the meaning of family and humanity. As Kiriko gets the call that Gou is safe, Rinna jumps into bed with a just awakened Otta in the hospital. Later that evening, Heart talks with 001 Makage. Heart knows 001 lent his ability to quickly infect and spread a virus among groups to 050. Medic asks what he is planning. 001 says it is to make preparations for destroying the Kamen Riders and to gain the strongest warrior… Banno’s son, Shijima Gou. 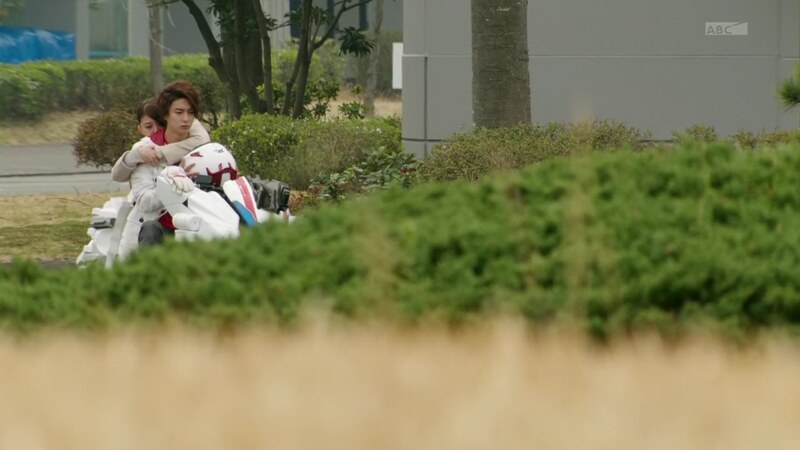 Meanwhile, Gou is walking by the water when he starts hearing Shinnosuke, Kiriko and his father calling him. Brain smiles as he walks towards him. Yay. Nice to get back to this craziness after a month. But maybe it’s because I was away for a month that I think I’m about half-lost with what’s going on. So first of all, we get a little (a little) clarification about Gou and (yes) Kiriko’s father. But that still doesn’t really explain his violent split personality. That handshake infection doesn’t explain that away either. I mean, the revelation that Gou and Kiriko’s father is (partially? fully?) 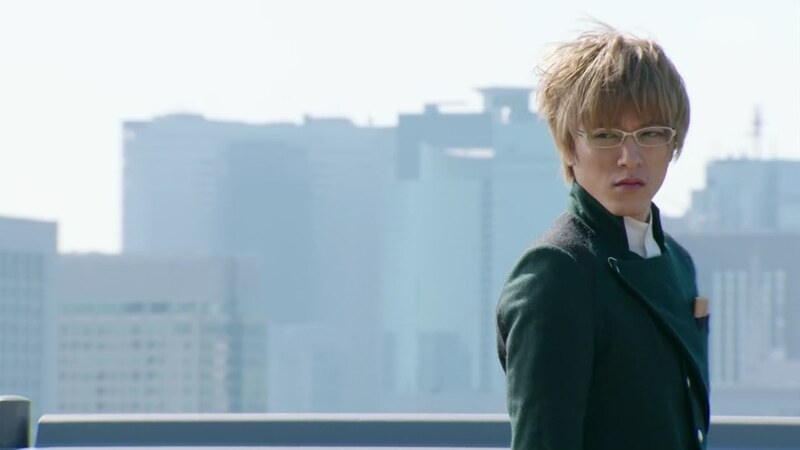 responsible for the Roidmudes murdering people should be a huge bombshell, yet I can’t really feel all shock and awe over it. Especially not when the build-up was all over the place. Or worse, nonexistent. It seems like the last couple of episodes, there’s been a lot of action, but it hasn’t really been tied together as well as it could have been. Add to that the lack of movement with the Roidmude idols (even with the introduction of 001), and there’s definitely a lot of questions and holes in what should be a very interesting story. And all that stuff was Nira was just meh, not even all that amusing, really. I really hope they work things out soon even though there’s definitely still a lot of show left.